This entry was posted in Advocacy, Death and Dying, Lung Cancer, Side Effects and tagged CT contrast, power port. Bookmark the permalink. Every death hits home for me, whether I knew the person or not. When the person is a 20 something, I suffer pangs of survivor guilt; why am I, in my 60s, surviving when that person, who had his/her whole life to live didn’t? It is tough dealing with the losses for me too. The more involved I have become in advocacy the more women’s lives have become entwined with mine. Too many losses in the past 9 years. A powerfully honest blog, Janet. 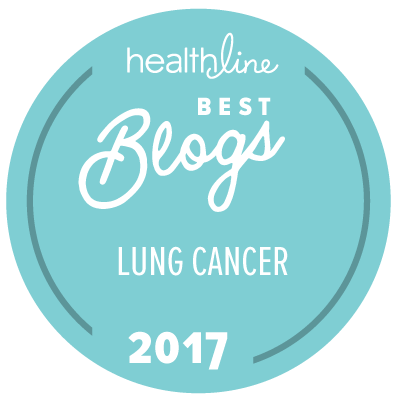 Thinking of you and your lung cancer community. Sending blessings and hopes for a pain-free blood draw, as well as good news from the results. Janet, thanks for the perspective, much of which we all share. I especially am hit hard by the young men and women struck by this illness. It just isn’t fair, for them, or any of us. But it is what it is and we have to keep moving forward, no matter what we are going through, whether it be treatment or the loss of another of our community. Take care. My doctor didn’t give me a port. “Let’s see how thing’s go” he said. A trip to the lab requires a very experienced tech! When the contrast blows a vein, the scan is stopped, the area accessed and try again. I have a check list of instructions regarding the lump in my arm. So far I have nkt had to go to emergency. Thinking about you today and hoping your doctor’s appointment goes smoothly. Your activism has helped so many people. I have broken down in to tears after hearing of the passing of an online cancer friend more than once. Sometimes I fear logging on in case someone else is near the end or already gone. But the courage and knowledge and sharing always brings me back. I hope your blood draw is painless and all systems are still a go. I enjoy your writing and all that you offer to other cancer patients. So sorry to hear about the loss of Burton, especially so young. Hope and pray you get feeling stronger and better.